The world was wide once. Huge, even. There was nations, people; Cities and towns. The land was green, people were happy. You would think that would be where the story would end... A simple look into a world where nothing bothered the people. A world where 'peace rained' and the world was united. ...This isn't that kind of story. Notice the was in the first droplet I had dropped. Was, meaning no longer. One day, a darkness grew in our seas... Our oceans, spreading like an infection; Instead of us purging it out of existence, it did it to us. It wrapped its arms around the lands, dragging it. Pulling at it, sinking it. It pulled it into the darkness, countless lives destroyed by the reckless but all powerful darkness that attacked them. It was a dark situation. But there was hope. The great people of the city rushed to create, then launch 'Gearstead'. It was a project done by the people of the unknown lands, a city that floated. That would raise up so humans could take the sky as much as they had the ground under their feet. If only they still had it clean, cleansed by light itself to rid the darkness. It didn't, and the world was consumed as Gearstead was launched. 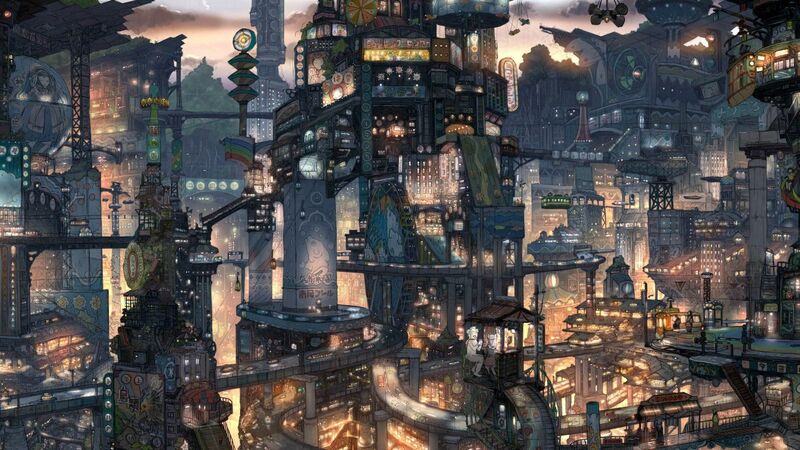 The flying city. So, yeah. This is a Steampunk-ish fantasy RP, where the world has been over run by darkness. The surface was over taken by an unknown entity made out of darkness. We'll be playing as people who live in the city, mainly in the slum district of Noxdrift, which I will explain in the next post. The events of the RP will unfold, but I encourage people to PM me if you have any ideas for the roleplay. Last edited by DatGuyDusty on Tue Apr 17, 2018 11:12 pm, edited 2 times in total. 1. Rule up! RPF rules apply, always. This rule here is just to remind you, as all. 2. No OOC arguements in any other channels than the actual one. Well, any OOC. If you want to get someones attention in the RP OOCly, quote them. 3. No meta, powergaming etc. If I say something in OOC, you're character won't know it unless you have put all your points into mind reading. Please nerf. 4. What I say, is final. Unless one of the admins/mods have something to say, if there is problems. 5. Romance allowed, not the main focus. Will smash that plot button if it becomes the focus, which will not be the nicest thing. Districts: Gearstead started off as a tiny project, the first few districts only being a fraction to the size it is now. Through scavenging the surface on dangerous missions, the flying city has grown... And that may not be the best thing. It is mainly split up into three sections as of this point, Noxdrift, Galliebarrow and Ivoryfell. In that order is the quality, lowest to highest. Noxdrift was the first district that Gearstead had, and well... In some twist of fate, it's the last place people want to go. 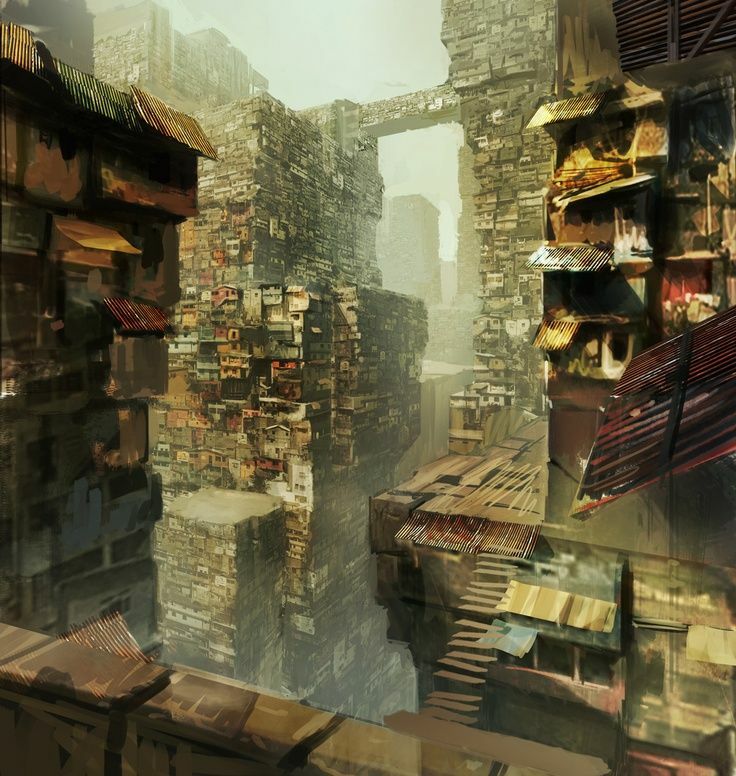 It spans widely, houses made from scrap from the other two districts. Food runs short, crime is plenty. Homes are rarely just a single persons home, other people being forced to squat in peoples homes because being outside in the dark is dangerous... Even more so, now that Noxdrift has been declared as unstable and has lost the steam that has powered the lights. The 'middle class' district, where most farmers and workers live. They work in the factories, the farms and go on scav missions to the surface every now and then... They live, for the most part, a comfortable life. Much better than the Noxdrift folk, due to them actually getting power... Leaving the lights on, at all times. 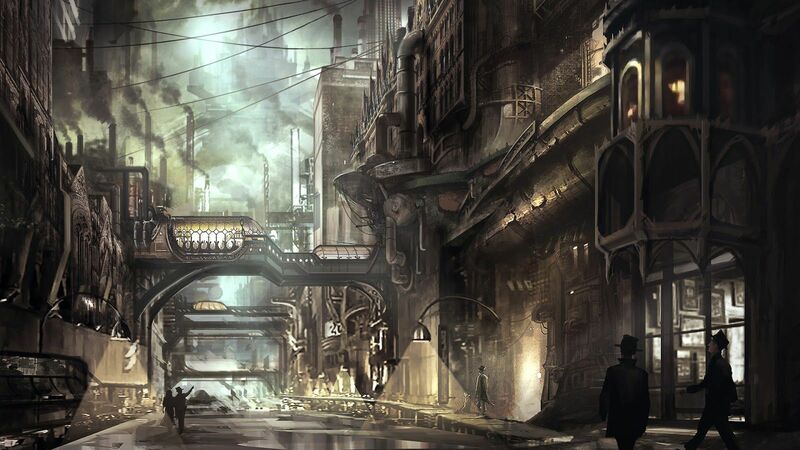 Pipes line the streets, looking a lot more 'unsightly' than their much richer location... Ivoryfell. The biggest, richest and advanced place on the Gearstead. It's well made, and holds the most scrap... It has the best engineers, scientists and of course, the 'rich' who are rarely seen leaving that district. To be there, you either get smuggled in or high in reputation... Other than that, it is unknown what goes on behind those walls. The creatures that hunt the surface now, taking the place of humans who lived there before. Since the darkness over-ran the world, the original huge creature that dragged and smashed the lands into it has vanished. Since then, husks of people that were killed during the event have taken it's place. They kill everything that isn't a shadow, like them. Other times, they sulk around... Clinging to memories they once had, the last piece of their life in shambles. The last piece of sanity. They have been spotted on Gearstead, but have been killed by the light that covers the place. Areas without light are dangerous, and all citizens are recommended to hide if without power. In theory, they could be killed with physical combat but it isn't recommended as they are faster and hunt in groups. 100% Interested! haven't seen a good steampunk-style story in a while. Ah! Alright, I'll make a CS thread now!